Happy Thursday! 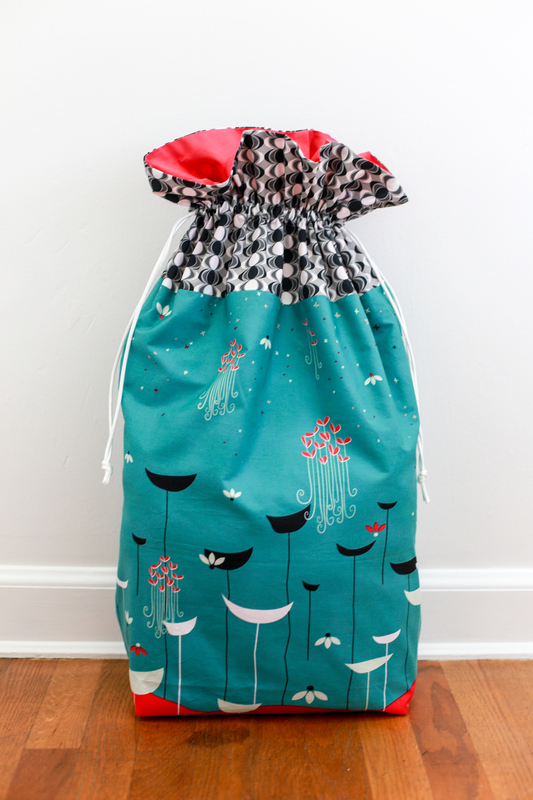 It's time for a parade of lined drawstring bags! I always make a few at the last minute to wrap gifts for the holidays. I wanted to quickly document them before we got too far into 2019! 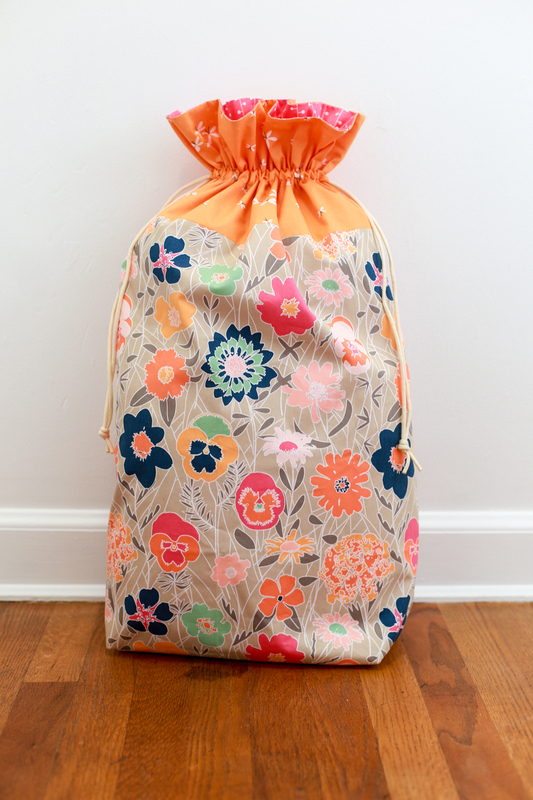 Make sure and check out my post with tips for using drawstring bags to wrap gifts, if you're interested! 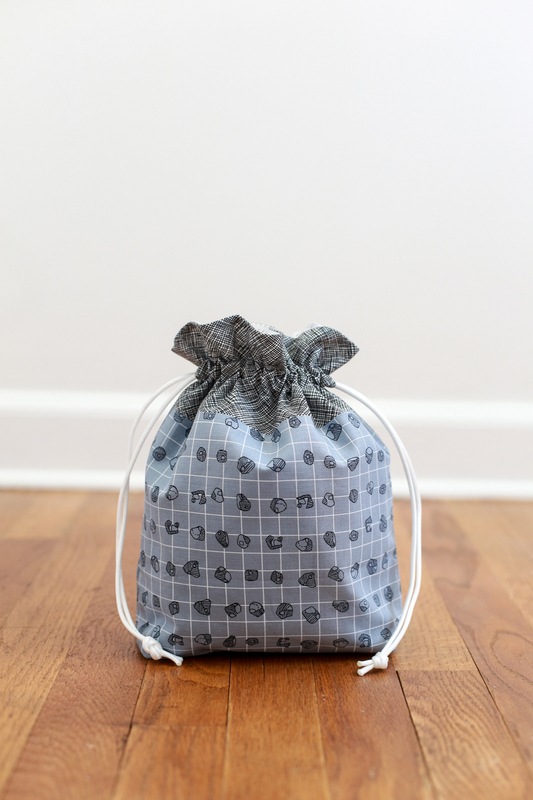 First up, an Everything Bag (tutorial size)! This held some sweet treats. It's made with a star print from Heather Bailey's Hello Love collection and a print from my Curiosities collection. It's finished with paracord ties. Another Everything Bag (tutorial size) for sweet treats. It's made with two prints by Carolyn Friedlander, a print from Carkai and one of her Crosshatch prints. It's finished with paracord ties. Next up, a Artist Bag (pattern size)! Perfect size for gifting a baby quilt. 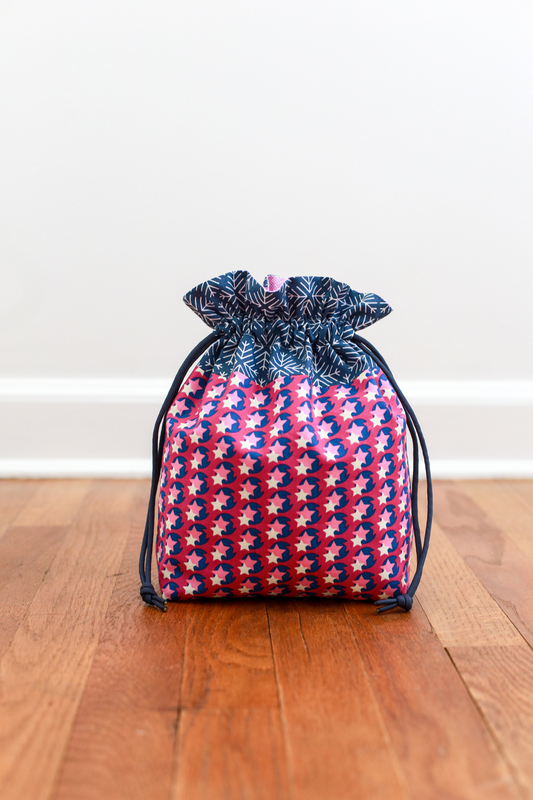 This bag is made with three prints from my Geometric Bliss collection. It's finished with paracord ties. One of two Laundry Bags (pattern size), for gifting throw quilts. This one is made with prints from my Curiosities collection. It's finished with paracord ties. 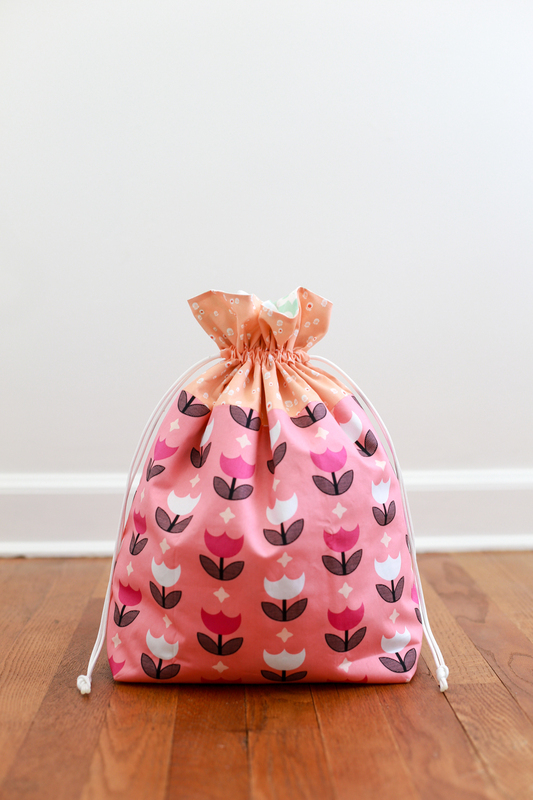 And finally, one more Laundry Bag (pattern size). This one is made with the panel and matching prints from my Nordika collection. It's finished with paracord ties. I have seriously made 100+ of these bags - they are wonderful!! I should have lamenated my pattern because it is looking shabby. Time to buy the pattern again - worth every penny! These are lovely and I really appreciate the idea of abandoning wrapping paper in favor of these reusable lovelies. Thank you for sharing them with us! Thanks for the reminder that I wanted to make some of these now, instead of in the crush between Thanksgiving and Christmas. I'm also regretting that I didn't return to quilting soon enough to get some of the fabrics you designed. They catch my eye every time.